On the occasion of the Universal Children’s Day, 20th of November, “Hope For Children” CRC Policy Center has the honour to organise and to invite you to the Second National Forum on the Rights of the Child, dedicated to Children’s Rights in the Digital Environment. Hellenic Bank is the Partner & Supporter of the 2nd National Forum on the Rights of the Child. Digital environment is complex and subject to rapid evolution. It is without doubt reshaping children’s lives in many ways, exposing them to a wealth of opportunities and if correctly used, it is a tool that helps enhance their knowledge. 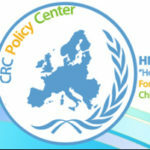 The new Recommendation adopted by the Council of Europe on how to respect, protect and fulfil the rights of the child in the digital environment urges States to act upon in order to ensure that the internet is a safe, secure and enabling environment especially for children and that all children’s rights are respected. Article 12 of the Convention on the Rights of the Child recognizes the potential of children to enrich decision-making processes, to share perspectives and to participate as citizens and actors of change. Based on that, children will be the main actors of this year’s Forum, actively participating in the discussions that will bring together competent government Ministers, national stakeholders, experts from local organisations as well as Ms. Regina Jensdottir, Head of Children’s Rights division of the Council of Europe and Mr. Bragi Gudbrandsson, member of the United Nations Committee on the Rights of the Child to discuss the importance and the challenges of the digital environment in our children’s lives. The 2nd National Forum on the Rights of the Child, under the theme Children’s Rights in the Digital Environment, will take place on November 20th 2018, at the Cine Studio of the University of Nicosia from 8:30 to 16:30. For registrations and further information please write to michalopoulou.t@uncrcpc.org or call the 22 103234.